Sign up for Broadjam today to follow Douglas Morton, and be notified when they upload new stuff or update their news! 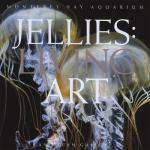 Composed for the Monterey Bay Aquarium Special Exhibit, Jellies: Living Art was inspired by the beauty of jellies. Composed for the Monterey Bay Aquarium Special Exhibit, Jellies: Living Art was inspired by the beauty of jellies. Ambient and world-beat songs with an oceanic feeling.